Earlier this week, Acting Director General Judy Reinke represented the International Trade Administration(ITA) at the Seventh Americas Competitiveness Exchange on Innovation and Entrepreneurship (ACE VII), which commenced a six-day tour (April 2-7) of the Central Texas region, with stops in San Antonio, New Braunfels, Fredericksburg, San Marcos, College Station, and Austin. ACE VII participants include high-level policy and decision makers from government, business, and academia, representing 25 countries from across the Western Hemisphere, as well as Germany and Israel. And, for the first time ever, the delegation includes as many women as men, fulfilling a continuous goal of the program to achieve a gender balance. DG Reinke addressed the group during the Welcome Ceremony on Monday morning, where she highlighted the benefits of the program, noting the connections ITA has to several of the local sites. She was joined by Ivy Taylor, Mayor of San Antonio, and 9th District Councilmember for San Antonio, John Krier. The ACE program showcases homegrown excellence in cutting-edge technology and strategic economic development. For each leg of the trip, the host city leads visits to innovation hubs, cutting-edge enterprises, and educational and research institutions. ACE VII combines dynamic, interactive panel discussions on advanced manufacturing, bioscience, cybersecurity, rural healthcare, and disaster recovery, with hands on tours of venues exhibiting best practices in those clusters. The ACE also increases access to international markets for U.S. exports. Imaginative programs like the ACE have the potential to offset factors that pose the greatest threat the region’s economic future and helps to foster a business culture that enables traditional industries to keep pace with global trends. To see the full agenda, click here. While in San Antonio, DG Reinke also joined the Texas Camino Real District Export Council (DEC) for a Roundtable Discussion on the Department of Commerce’s commercial priorities and activities, as well as well as to hear the DEC’s thoughts on the current global business environment and the impact on U.S. companies. Stefan M. Selig is the U.S. Under Secretary of Commerce for International Trade. Every year, World Trade Month—designated for the month of May—gives us the opportunity to acknowledge the importance of global trade, and look back at the economic advancements we have made as a result. This World Trade Month, we can look back and appreciate the success we have accomplished. In 2015, our exports totaled $2.23 trillion, we increased our exports to 58 international markets, and we achieved record exports with 20 global partners. Our export success was one aspect of a strong year for the U.S. economy where our auto industry experienced its best year ever and our manufacturing sector reached record highs for output. Exports also contributed to our economy, supporting 11.5 million U.S. jobs and accounting for nearly 13 percent of U.S. GDP. In addition, last year, U.S. services exports tallied another strong year. In fact, business services; telecommunications, computer and information services; and travel all reached export increases of more than $1 billion. Because we have an economic landscape where trade and investment drive growth, the mission of the International Trade Administration (ITA) is even more important than it has been before. With more than 95 percent of the world’s customers living outside of our borders, trade and investment are a platform for our country to deliver our goods and services to global consumers. A robust export environment also attracts and encourages foreign companies to invest in the most innovative, productive workforce in the world: the United States of America. These are just some of the reasons why we worked to complete the negotiation for the Trans-Pacific Partnership (TPP) and are working on finalizing the Transatlantic Trade and Investment Partnership (T-TIP) negotiations. A world with both TPP and T-TIP will create a free-trade zone representing more than 60 percent of global GDP, while leveling the playing field for U.S. firms. Throughout World Trade Month, events across the country are being held to recognize the importance of exporting to jobs and our economy. On May 16th, several U.S. companies will be in Washington, DC to receive the President’s “E” Award in recognition of their contribution to increasing American exports through selling high-quality products and services. During World Trade Week (May 16-20), ITA will lead two missions: a renewable energy trade mission to Mexico and a business development mission to the South Pacific. And, on May 25th, the Department of Commerce will partner with the Global Innovation Forum—a project of the National Foreign Trade Council—for an educational program at Microsoft Ventures in Seattle as a part of our Startup Global program, an initiative designed to help more startup firms think on a global scale from the earliest stages of growth. Many other events will be held as a part of World Trade Month. I encourage you to follow ITA on Twitter @TradeGov where many of these events will be highlighted. Additionally, as a part of World Trade Month, we will launch our new Instagram account @IntlTrade at the beginning of this month. 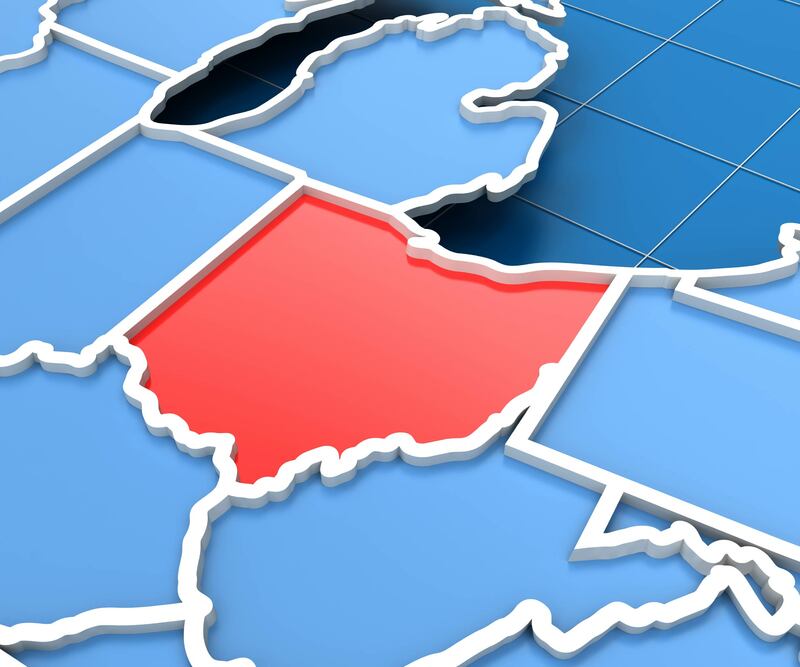 ITA is charged with helping U.S. businesses and workers succeed in the global marketplace. Our U.S.-based export assistance centers in more than 100 cities, and our foreign commercial service offices in more than 75 markets around the world, help U.S. businesses tap into global markets in ways they may not have been able to otherwise. Our client services are precisely why Kentucky-based Zoeller company, the oldest professional pump manufacturer in North America, found a distributor that helped them deliver their systems across sub-Saharan Africa; why Zee Manufacturing out of Des Moines Iowa, was able to ship its automotive accessory products into the Saudi Arabian market; and, why Stress Indicators of Maryland is shipping their visual-indicating SmartBolts to more than 20 countries all over the world, while seeing their revenue growth rate double since 2010. Thanks to all of the U.S. exporters who continue to advance our competitiveness within the global marketplace. We honor you during this year’s World Trade Month for your relentless commitment and effort. Becky Long and Tanner Johnson are International Trade Specialists at the International Trade Administration’s Special American Business Internship Training Program (SABIT). 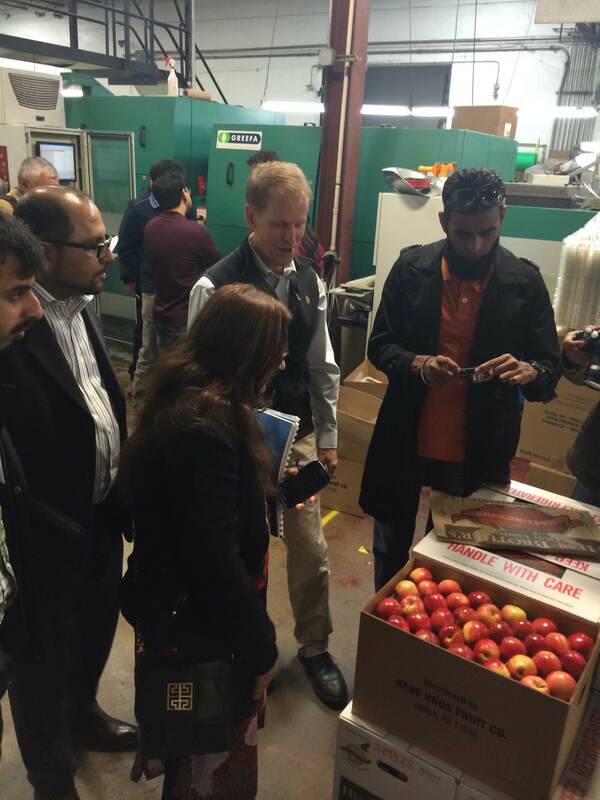 The Pakistani delegation visited a number of U.S. companies, including Hess Brother’s Fruit Company, to learn about trends in packaging materials and food safety. The Special American Business Internship Training Program (SABIT) promotes international economic development and the formation of business ties by hosting delegations of international executives in the United States. The program has been training international business leaders from Eurasia, South Asia, and other regions for more than 20 years. SABIT recently hosted a delegation of 13 Pakistani executives from the packaging industry, in an effort to further the U.S.-Pakistan business relationship. The delegation met with leaders of American companies, associations, and government agencies in Washington, DC, Pennsylvania, Maryland, Virginia and Illinois to discuss trade opportunities, technological innovations, and U.S. trends in packaging materials, manufacturing processes, food safety, and marketing. The group also attended PACK EXPO, one of the world’s largest exhibitions of packaging equipment and materials. Hosting delegations like this is crucial to furthering the U.S. relationship with an important trade partner. The United States is the largest export market for Pakistani goods, with nearly $3.7 billion worth of goods going to U.S. consumers. Roughly 90 percent of that total was in the textiles and garments industry, which means there are considerable untapped possibilities for Pakistan’s other industries to expand their exports to the United States. Pakistani business leaders in a variety of industries are seeking more information about the U.S. market and industry-specific import regulations and processes. In March 2015, SABIT will host a Pakistani delegation of professionals in the sphere of supply chain management. The program will help improve Pakistan’s transportation, storage, and logistical linkages, and it will serve to further integrate Pakistan into the international supply chain. SABIT is also planning future in-country training events and webinars for SABIT’s alumni in Pakistan. Click to watch SABIT’s video interview with some of the packaging delegation participants. U.S. companies interested in hosting SABIT’s international delegations may contact the SABIT office at 202-482-0073 or sabit@trade.gov. Judy Reinke is the Deputy Director General of the U.S. and Foreign Commercial Service.